Jan C led us with the theme of “Procrastination”. Unfortunately, we seemed to be very experienced with this topic and everyone could relate to the theme. John S was prepared (as much as you can be for a procrastination meeting) as General Evaluator. As expected, none of us were ready for the table topics from our TopicMaster, Felicia D.
Joji P gave us speech number 7, Research Your Topic, as he presented an oxymoron when he discussed preparing raw fish in his speech “Kaiten Sushi”. Chandler M then took the floor with speech number 9, Persuade with Power, with her speech “Ignore Marco Rubio, Remove the Cuba Embargo”. Be here on May 14 when Mark I directs us with the theme “Oh What a Tangled Web we Weave”. At this Thursday’s meeting at Voyagers we all examined our Core Values as Toastmaster Amy G led the meeting with Hal S as General Evaluator. Terry H stepped in as Topic Master at the last minute when the previously scheduled Topic Master texted that his car had broken down on the I-8. From Mark S we found out about the meaning of Core in addition to bad puns. Jan C described Values and how her vocabulary has expanded to include words she didn’t use before. Natalie M shared how travel abroad can expand your core values. Julia S was then given the assignment of telling what to do when your core values conflict with the core values of another person. Donna G exceeded all her core values and declared that when she can’t find an expert she becomes the expert. Indre F discussed the recent fad of improving your body’s core. And even our Toastmaster didn’t escape Table Topics as Amy G was tasked with expounding on how her core values have changed over time. We then went on to the core of the meeting with two advanced speeches from the Communicating on Video manual. 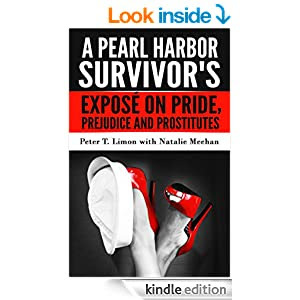 DTM John W interviewed best selling author Natalie M about her recent book “A Pearl Harbor Survivor’s Expose on Pride, Prejudice, and Prostitutes” and her experiences in publishing on Kindle. Everyone was impressed with the planning, marketing, and business logic that went into publishing this book in the online market. These advances speeches received excellent evaluations by Diana B and Nancy J. Our next meeting will be led by Jan C with the theme of “Procrastination”. This will also be Nancy J’s final meeting before she migrates back east for the summer so show up to wish her well. As some of you predicted, this week’s meeting went as planned. The theme of the meeting was “Reverse Meeting” concluded by by Toastmaster Diana B. John W followed as General Evaluator. The evaluators were all extremely specific in their advice to the speakers letting them know the parts of the speech they enjoyed and giving examples from the speeches. Speaker Terry H shared with us his storytelling skills. Mark E gave a Toast to Voyagers to celebrate the first 32 years as a group. And Nancy J got everyone into shape (or shapes) as we experienced the basics of yoga. Linda T took over as TopicsMaster with a set of retrograde topics. Donna G told us about retrograde retirement. Lynn P shared retrograde randomness of Spring break and the story of the little girl who told about her mother with tattoo of grapes “because she loves wine”. Justin H described learning backwards. Jan C reminded us that life is in cycles and about Zumba gold. And poor Karen W discussed what it was like to do business and conduct interviews while a chef kept bringing her food. Have you too still haven’t found what I’m looking for? (See reference https://www.youtube.com/watch?v=EabB55IYyOg ) Maybe that’s because you missed last week’s meeting led by Alan H with the theme of “Search Strategies”. Diana B assisted the search as General Evaluator leading her team to find what was missing from the perfect meeting and the perfect speech. Joji P led the search through table topics. Donna G shared her experience buying red bar stools “that were sooo cute” even though the on-line reviews warned the the enamel would chip a lot. Jan C was given the task to explain how she researched papers when she was in school. Nancy J revealed that AAA will not only unlock your car if you get locked out, they will also unlock your house if you lock yourself out (or at least they will try). Julia S told of her quest to buy luxury items in China over the internet using a Chinese VPN. Jerry M was given the open ended question of finding something he is looking for right now. Terry H avoided the topic of the last time he was searching for something on Facebook. And Indre F described the search process and decision making that led her to Voyagers. Two speakers then filled the prepared speech section of the meeting. Delores P presented “The Power of Positive Mindset” with a two phase demonstration on the power of positive and negative thought. Then Angelique H revealed “The Purpose of Life” as she shared both professional experiences and research she had gathered from a variety of sources.